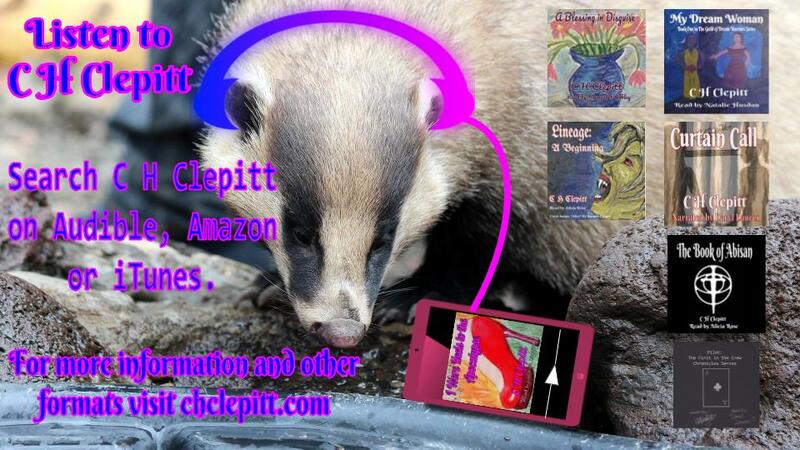 For this guide Badger has teamed up with fellow author and friend, Claire Buss, to bring you a helpful starting point. If you have any questions, or feel like there’s something we haven’t covered, pop it in the comments. CH Clepitt and Claire Buss are both indie authors who have self-published over twenty books between them as well as co-editing and publishing an anthology but who use different platforms to get their books published. They run the Sparkly Badgers Facebook group for writers as well as co-host #sparklybadgersunite on Mondays at 9pm GMT. Claire Buss (CB): This is a timely discussion as I am currently hiding beneath a rock, trying to pretend the mistakes I made publishing my books don’t exist. This isn’t working very well. CH Clepitt (CHC): What platform did you use? CB: Apart from The Gaia Effect, all my books have been published via Amazon’s KDP platform which I have to say is fairly user-friendly and straightforward once you have your files already formatted. CHC: Why is The Gaia Effect different? CB: The Gaia Effect was published by New Generation Publishing. They are an independent publisher, dedicated to helping indie authors self-publish. They do all the formatting for you as well as sorting out your book cover and getting the book into all the online places – Amazon, WHSmiths, Waterstones, Nook, Kobo, Apple Store and Barnes & Noble. CHC: Why haven’t you used them for the rest of your books? CB: Because it costs around £400 for a standard package and I won that as part of a book writing competition. Everything after The Gaia Effect has been my own journey of mistakes. CHC: So, why have you made mistakes? CB: Because I didn’t understand how to format my books properly. The thing about KDP is that it doesn’t have a default setting so that all books are published equally. It gives you options and if you’re not exactly sure what those options will result in, you can make mistakes. When you are preparing a book for submission to an agent or publisher, there are certain formatting requirements that you must adhere to such as double-line spacing. But you shouldn’t publish your book in that format. It sounds so obvious when I type it out in black and white but hey, no-one told me KDP wouldn’t automatically correct my formatting so, I have a few… shall we say uniquely formatted books. CHC: Surely you can change them now? CB: You’d like to think so, wouldn’t you? But it’s not quite that simple. I also made mistakes with the sizing option for my early books, thinking that the first option would be the correct book size in the UK. It’s not. However, once you’ve uploaded the book and made all your choices, you’d better be 1000% sure you’ve made the right decision because you can’t change it. Ever. CB: You also cannot amend the book title or series details so you’d better make sure those are exactly what you want them to be. You cannot pantser your way out of this. I mean, yes, you can remove the book and republish but then you’d lose all your reviews and we know those things are rarer than hens’ teeth. CHC: Do you use KDP to format the book before you print it? CB: No, they have a preview function, which is handy for seeing some mistakes, especially in the Kindle version. KDP have their own style guidelines which, once you adhere to, produce a clean digital book. However, you have to watch out for paragraph wraps from one ebook page to another because sometimes they split naturally and sometimes they do not. So yes, you have to check it page by page. For paperbacks, they do provide a template with pre-set style settings to ensure your word document fits into book format but again you have to check every single page (seriously, why wouldn’t you??) as you cannot rely on the pre-set template to convert your original document correctly. I often have issues with fonts changing randomly mid-way and again, the same issue with split paragraphs. The more often I go through the process though, the easier it becomes and the more I learn. I’m still kicking myself about the formatting issues with my earlier books though. Each one looks better than the one before so sooner or later I’m going to crack perfection and then I’ll go back and sort the others out. What about you, CHC? What do you use? CHC: I use Lulu and Smashwords. CHC: Lulu is a PoD (publish on demand) platform that allows you to produce your books for sale. You have lots of options. You can make them private and just order them for yourself, friends and family, choose to just sell them on Lulu, or assign an ISBN and have the option to have them distributed. This will automatically get them sent out to online bookstores, and physical bookstores will have the option of ordering them, but you will have to persuade them you’re worth it, as they only have limited space, unlike the online versions. CB: Why do you use that and not something else? CHC: When I was first looking into self-publishing options in 2011, the big 2 were Amazon (Createspace) and Lulu. You could also use Lightning Source, but for Lightning Source you had to provide your own ISBN, and in the UK you can only buy those in blocks of 10. As I didn’t know how many books I’d be publishing I didn’t really want to invest in 10 ISBNs. And ISBN is the main reason I chose Lulu. At the time I was publishing (and I don’t know if this has changed since) they gave you a free ISBN, which meant you could get your books distributed to other platforms. Amazon only gave you a barcode, so your book wasn’t officially listed in Bowker (sp) or available anywhere other than Amazon. I also read that they recycled theirs, which meant if someone unpublished a book, the barcode could be reassigned. I have used Lulu ever since because I really like them. There are a number of sizing options for your books, they provide templates for you to paste your text into and you can see exactly how it will look on the page because they have a converter so you can look at a PDF of your book before you publish it. They offer volume discounts and there is usually an offer on, such as free shipping or 20% off. The customer service teams are really helpful (apart from the time they thought I’d died – long story), and in general, I would recommend them over other platforms. CB: What tips do I need to know if I decide to start using Lulu? CHC: My tips for using any platform you are unfamiliar with would be to read the style guide. I know this may seem long and boring, but it will save you time in the long term as you won’t need to keep redoing it. I also always make my books private initially and order a proof, so I can check that I am happy with the quality of the product I am selling. Also, if you approve your book for distribution, you then can’t edit it (you have to publish a new version) so make sure you are happy with what you are putting out there. CB: Me too! I’ve used that for my ebook only book and I’m going to go wide on there with my poetry books and collections of short stories. CHC: Do you think you ought to explain what going wide means? CB: Yeah, probably. Going wide means having your book for sale in more than one place. When you use Amazon’s KDP service, your book gets uploaded to Amazon – which is great – but that’s all. It will not appear anywhere else unless you upload it onto another platform like Smashwords, Draft2Digital or IngramSpark. Going wide means you are not dependent on just Amazon for your sales and your books are reaching more markets, therefore more readers. But there is often a cost involved and it’s definitely more work. When starting out lots of authors just rely on Amazon in the beginning. Okay, your turn CHC. Tell us about Smashwords. CHC: I will, but first, Draft2Digital? IngramSpark? CB: Right. Draft2Digital is a platform that handles the formatting of your books for you. You upload the original manuscript, they do the rest. It’s free but they get 10% of any sales. You can also use them to get mobi files of your manuscript which is ideal for ARC copies and giveaways. “IngramSpark is the world’s largest wholesaler of print and electronic books to independent bookstores, bookstore chains, internet retailers, and speciality markets, as well as other wholesalers. They distribute to more than 39,000+ retailers, libraries, schools, and distribution partners in 195 countries. IngramSpark combines the power of Lighting Source print-on-demand with CoreSource®, our e-book distribution platform, to offer self-publishers a single platform to manage all their print and electronic titles.” And yes I did copy that from their website. There is a cost involved with IngramSpark but it’s a one-off fee per book title. CHC: Can I talk about Smashwords now? CHC: Smashwords is a PoD platform, like Lulu – but for ebooks. You can also publish ebooks through Lulu, but I never have, so I can’t talk to you about those. When I first started publishing Smashwords was new, and it and Amazon were the two main options for self-publishing ebooks. Smashwords provides you with the free ISBN and distribution. When I started out they did not have a distribution agreement with Amazon, so you had to publish there separately. This has now changed, but I would still recommend publishing there separately if you have the chance, as you get to take home more profit. What it is worth keeping in mind, is that whilst neither Smashwords or Lulu claim to be your publisher (you are the publisher), if you use one of their free ISBNs they are listed as the publisher. I don’t think this is a big deal if you are an indie, but if you are setting up your own publishing company, it will be worth investing in some ISBNs, so that you are listed as the publisher, as it looks more professional. CB: How straightforward do you find Smashwords? CHC: Not very, unfortunately! That is one of the main reasons I was exclusive to Amazon for so long. The formatting for getting into the premium catalogue is very complicated (read the style guide, folks, read the style guide). They also only accept a doc (not doc.x), pdf or epub. If you create the pdf or epub yourself, the meatgrinder tends not to enjoy it very much, and you end up with lots of formatting issues which were not in your original document. The best option in terms of creating a clean file, and being accepted into the premium catalogue is to upload a doc, which means that if like me, you work on a Chromebook you can’t create the file. I also have a Mac, but creating a doc through Pages also does not agree with Smashwords for some reason, so you really need to create through a Windows machine, which is annoying. Fortunately, I can borrow one, and now I am used to it, can format for distribution really quickly, so it’s not hard, but a bit inconvenient. CB: What do you think are the benefits of Smashwords? CHC: The benefits of Smashwords are free ISBNs, and distribution. Also, you can create discount codes which you can make public or private, so you can give away verified purchase review copies to bloggers or prizes for competitions. You can also run sales on your page like “50% Off” or similar. CB: I haven’t really gone wide yet but I am planning to, on some titles. Why did you choose to go wide? CHC: For a very long time I didn’t. I was exclusive to Amazon, but they are so huge, and their Kindle Unlimited platform (where authors commit to 3 months exclusivity to Amazon) is basically trying to force other retailers out of the market. Whilst this is obviously good business sense on the part of Amazon (being the only option means people have to buy from you) it is very limiting. Not everyone wants to shop on Amazon, and as indies we should support smaller sellers. If Amazon becomes our only publishing option, it can start taking more profit, reducing our income, other rights, and we can say nothing. The wider we are, the more choices both we and the readers have. Going wide makes good business sense. CB: What would you change about Lulu or Smashwords if you had the chance? CHC: The main thing I would change is that I would prefer to be paid by direct transfer, rather than Paypal. Amazon pays by transfer, and that’s much easier. For Lulu, I would also prefer the option of British bookstore sized books, as American ones are really big, and I only write novellas. That said, I have started using the pocketbook size, and that’s really cute! CB: So what do you reckon is the one thing people need to remember about formatting? CHC: READ THE STYLE GUIDE! CB: Haha! You’re so right. CHC: I cannot emphasise that enough. And make sure you check your file on an e-reading device (or if you don’t have one get someone you know to). Your original doc may look lovely, but it might have converted weird, so check it. The last thing you want is some snotty reviewer making a comment about your formatting *ahem*. 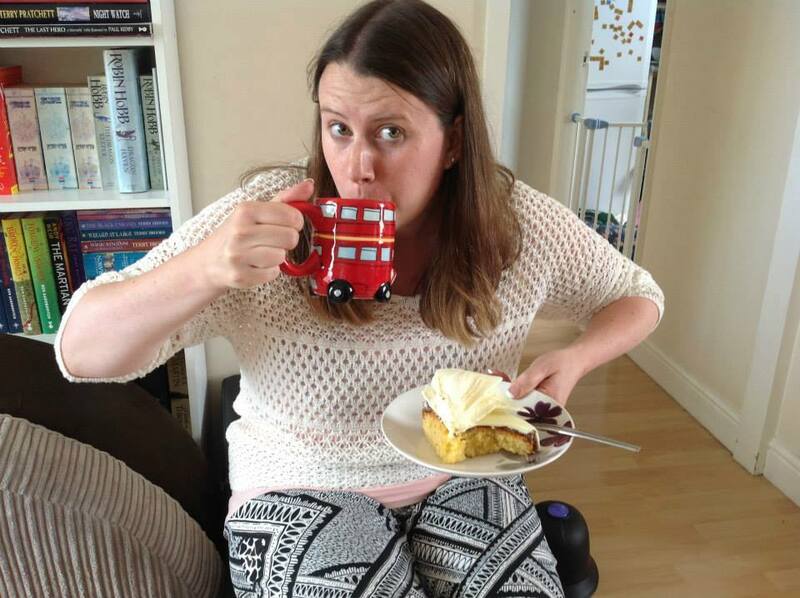 CB: My advice would be to make sure you have plenty of tea and cake on hand for formatting your book. CB: I am in awe. To be fair though, I can’t really get through the day without cake! Good talk badger. Let’s do it again sometime. C H Clepitt has a Master’s Degree in English Literature from the University of the West of England. As her Bachelor’s Degree was in Drama, and her Master’s Dissertation focused on little known 18th Century playwright Susannah Centlivre, Clepitt’s novels are extremely dialogue driven, and it has often been observed that they would translate well to the screen. Since graduating in 2007, she gained experience in community and music journalism, before establishing satirical news website, Newsnibbles in 2010. In 2011 she published her book, A Reason to Stay, which follows the adventures of disillusioned retail manager, Stephen, as he is thrust into village life and the world of AmDram. Clepitt’s feminist fantasy, The Book of Abisan not only crosses worlds, but confuses genres, and has been described as a crime drama with magic. She has often said that she doesn’t like the way that choosing a genre forces you to put your book into a specific little box, and instead she prefers to distort the readers’ expectations and keep them guessing. Her 2016 work, I Wore Heels to the Apocalypse does just that, as just like the characters, the readers won’t know what’s going on in this laugh out loud satirical scifi. Claire Buss is a multi-genre author and poet based in the UK. She wanted to be Lois Lane when she grew up but work experience at her local paper was eye-opening. Instead, Claire went on to work in a variety of admin roles for over a decade but never felt quite at home. An avid reader, baker and Pinterest addict Claire won second place in the Barking and Dagenham Pen to Print writing competition in 2015 with her debut novel, The Gaia Effect. This set her writing career in motion and she continues to write passionately whilst being hopelessly addicted to cake.